Posted: Wed Jun 11, 2014 6:57 pm Post subject: Any advice would be appreciated. I inspected it twice, very briefly. The second occasion was on the 26th May, just before I went on holiday to Turkey (I'll put up a post about honeybees in Turkey soon!). 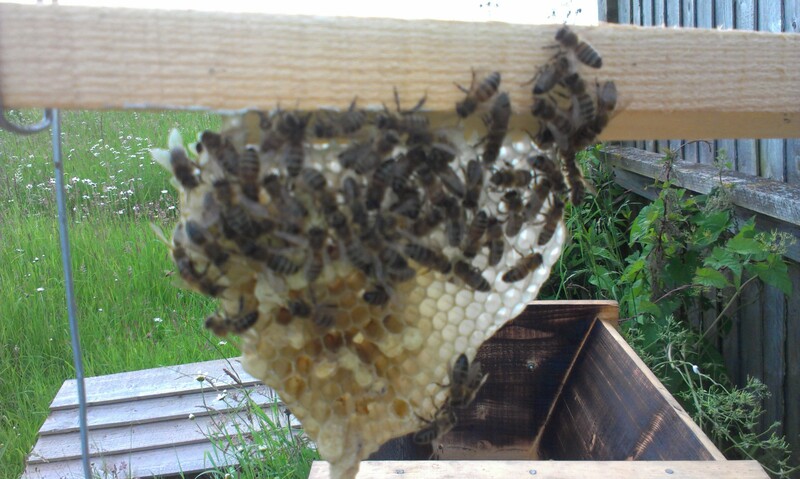 On that second inspection, the bees had drawn three nice new combs but I didn't spot the queen and couldn't see eggs. Wasn't particularly worried because the girls were very content and busy bringing in pollen and I reckoned that the problem with not seeing the eggs was more due to my eyes that them not being there! What's happening here? 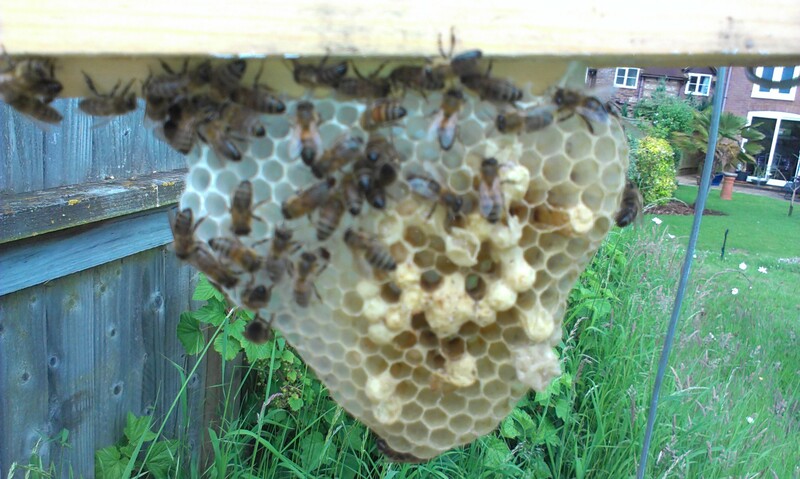 Am I right in thinking that there is a problem with the queen due to there being only queen cells, drone cells, but no other brood cells? And why hasn't much more comb been built by now? Thanks, as always, in advance for any advice. That's what I was afraid of. 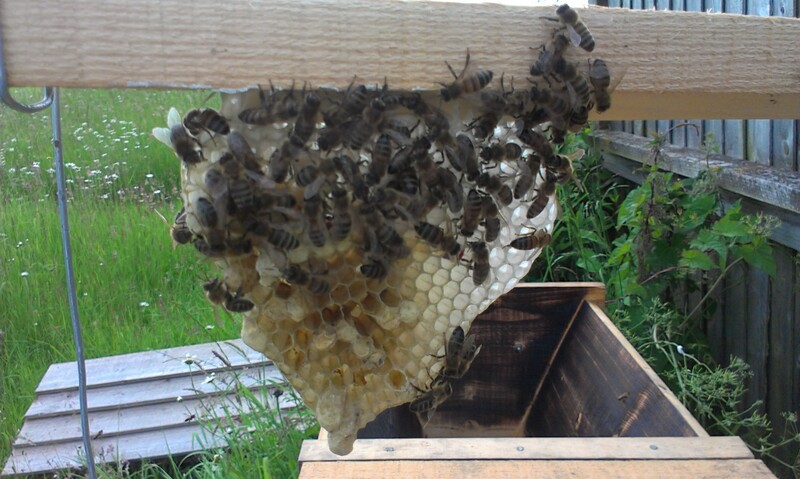 Problem I have is that my only other colony is also very young - a swarm caught and hived in mid-May - and although they're doing well - capped brood when I inspected them on Tuesday - I'm worried that they're really not well enough established to cope with me taking a comb of brood away from them to put to the other colony so early. 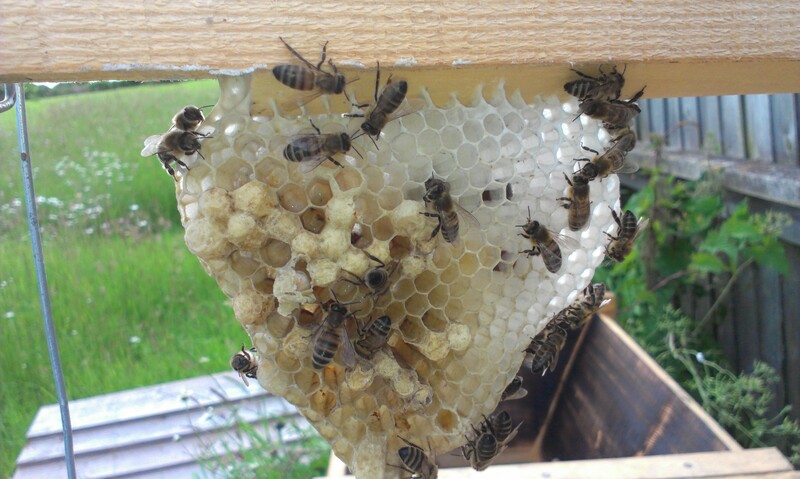 It looks to me that you didn't get the queen when you gathered the swarm or it was a cast swarm that lost its queen early on and is laying workers. 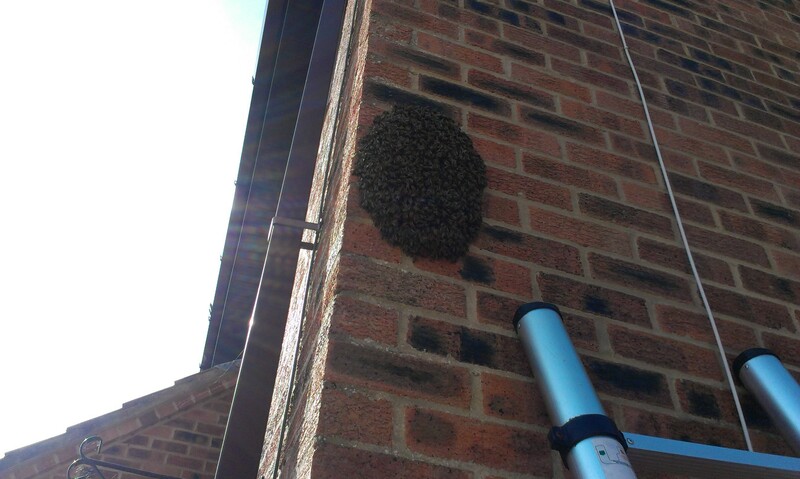 Is your other hive close to this one? 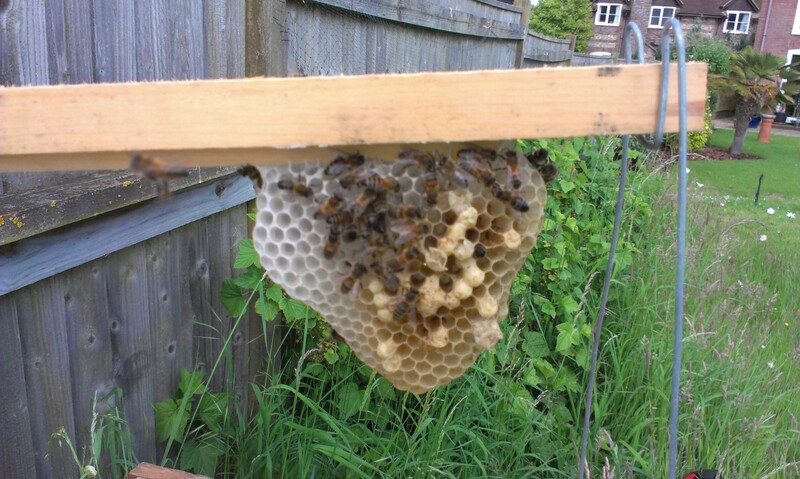 If so shake them out and they can join your queen right colony. Best to smoke both colonies just before.